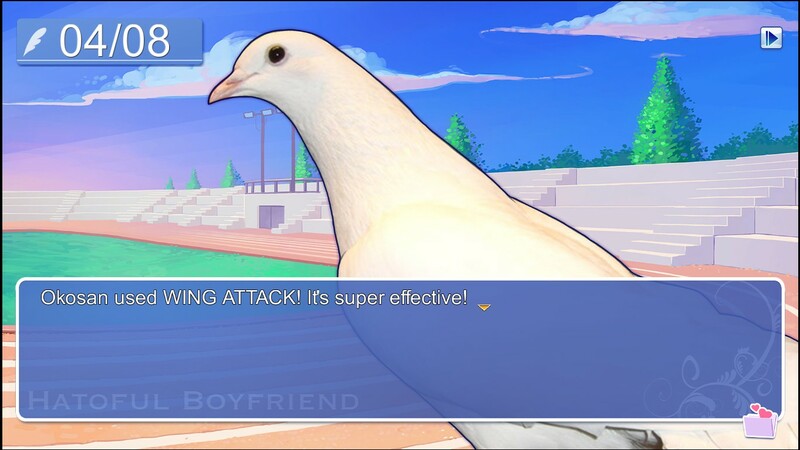 This post is really for people who’d… probably enjoy the sheer WTF I went through whilst playing this game. I can’t think of any other reason. 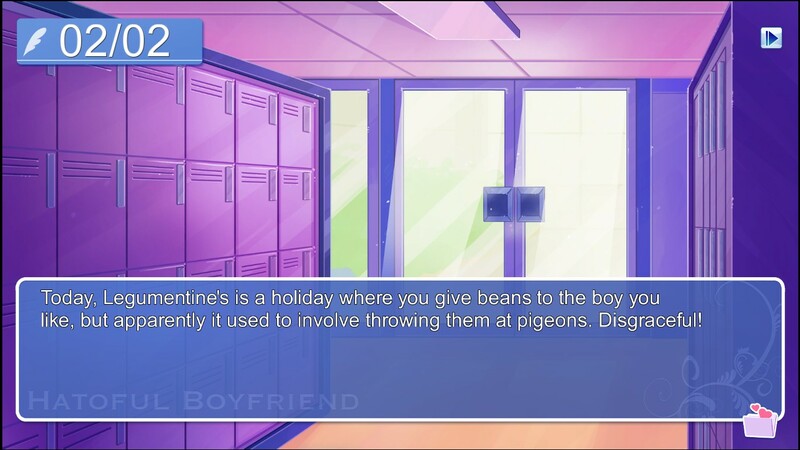 …who am I kidding, I’m posting this for myself so I can re-read this a year from now and giggle at my own expense. 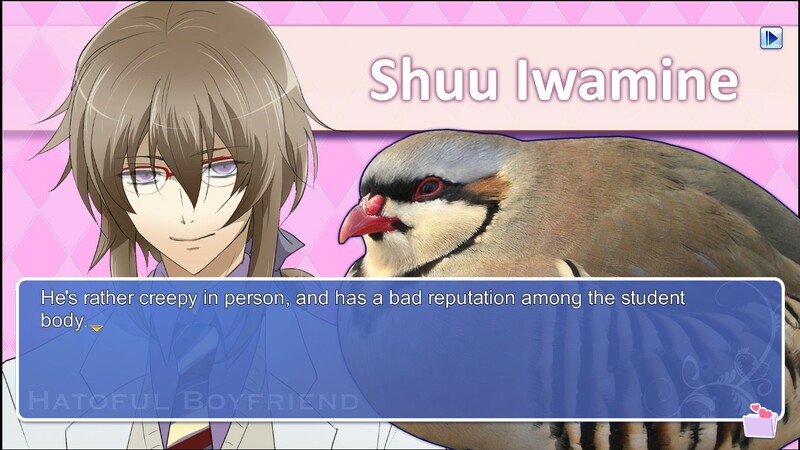 I’ve heard about Hatoful Boyfriend for ages, but it just never attracted me – for that reason I never bothered to look for summaries or spoilers or anything else. I mean, I knew that I’d eventually play it, in which case why look for spoilers when I can just experience it all first-hand? Even if it took me years before deciding to play it… I’ve finally decided to play it because a colleague from work said he’d also give it a go. This post is basically me taking a screenshot every few minutes as I played this game for the first time, along with the thought that’s on my mind at that point in time. Future me, I hope you’re grateful and entertained somehow. 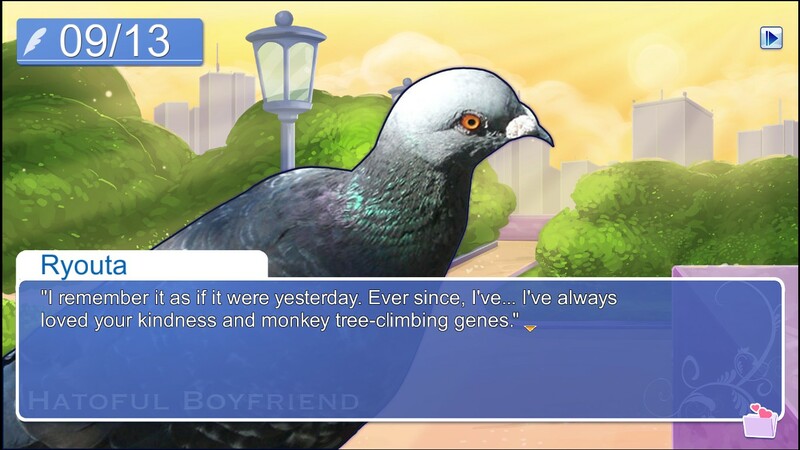 Please remember me, your past self, when you read this – remember those late nights spent seducing avians and go buy yourself something nice. Please be warned that this post is IMAGE HEAVY – probably not a good idea to view this on your mobile phone. Also: I’m not sure if the creator would be happy with me posting this many screenshots – I tried to google it but couldn’t come up with anything. If it’s not cool I’ll take this post down – just leave a comment. OK, game installed… we’re doing good so far. …you f***ing lied to me. …am I really, really doing this…? 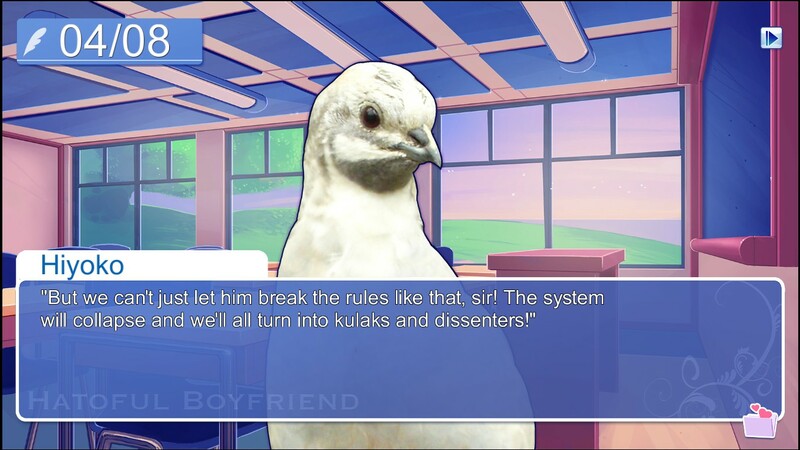 OK, so we have a new arrogant transfer student and… victory’s yours, HB, for forcing me to look up the word ‘kulak’. 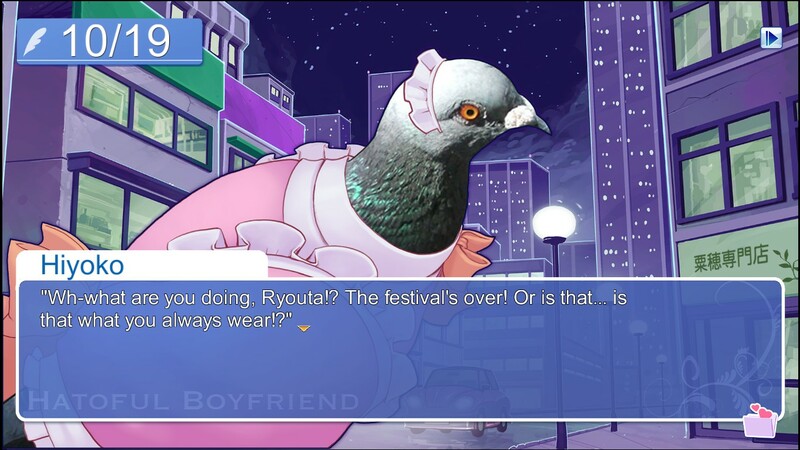 Can’t you at least put glasses on that pigeon to make this easier for me…? No…? 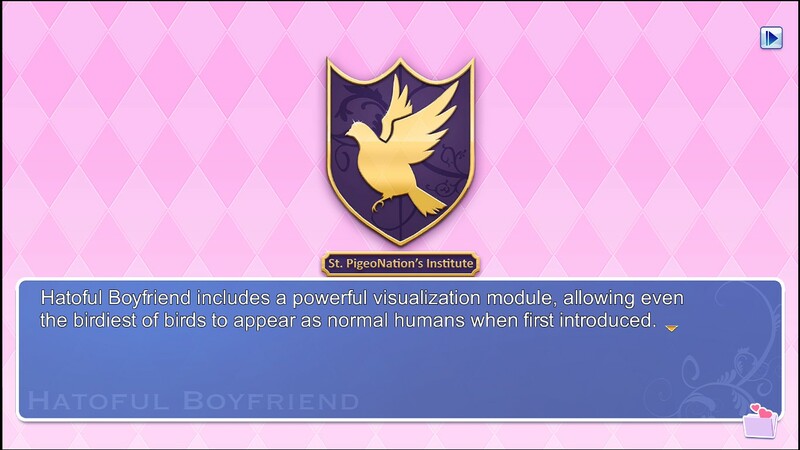 …OK, migration and… hang on, you’re in a school of pigeons, doesn’t that make the last one voyeurism…? 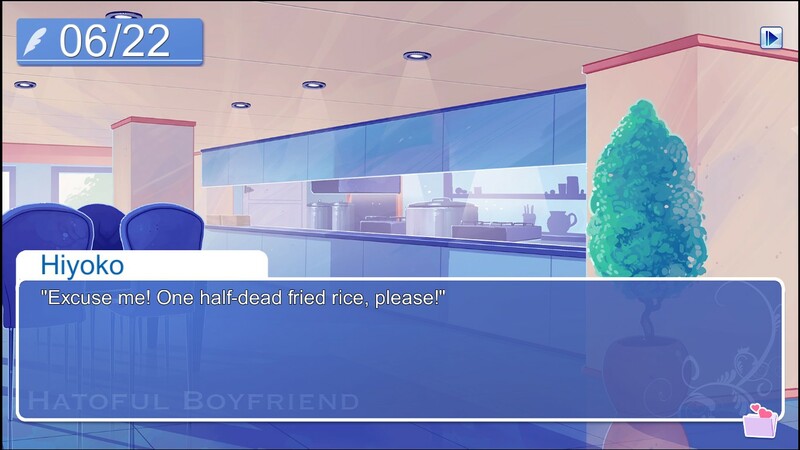 I think I found the yandere. …can anyone explain this one to me….? 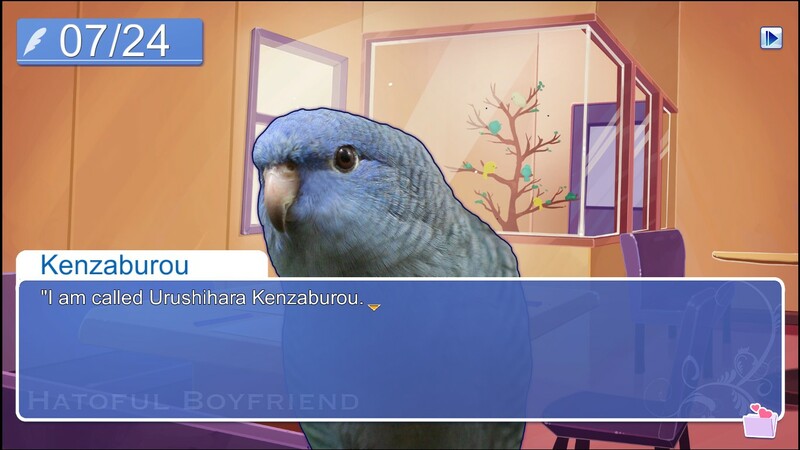 You do look like a Kenzaburou to me. Oh. Maid cafe, I’m guessing. 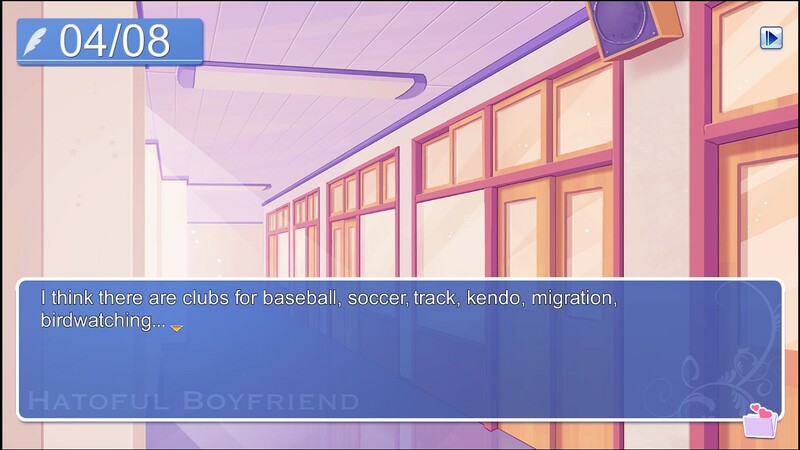 …as if that’s better than a maid cafe…? …you’re only making this worse. 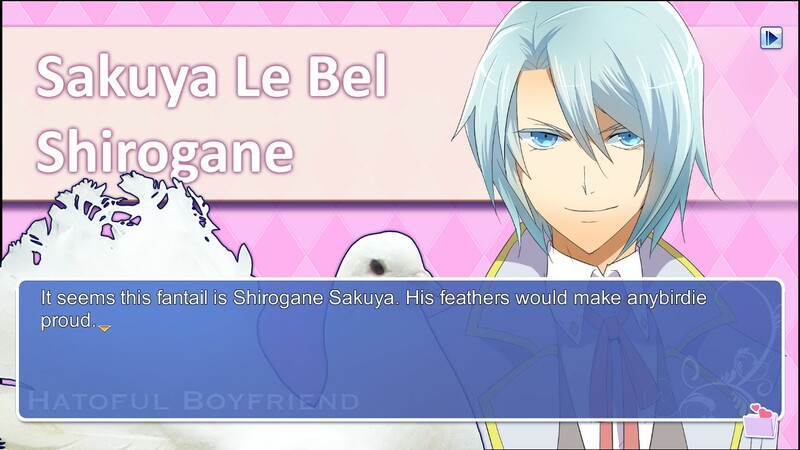 …is the pun going to get worse than this. 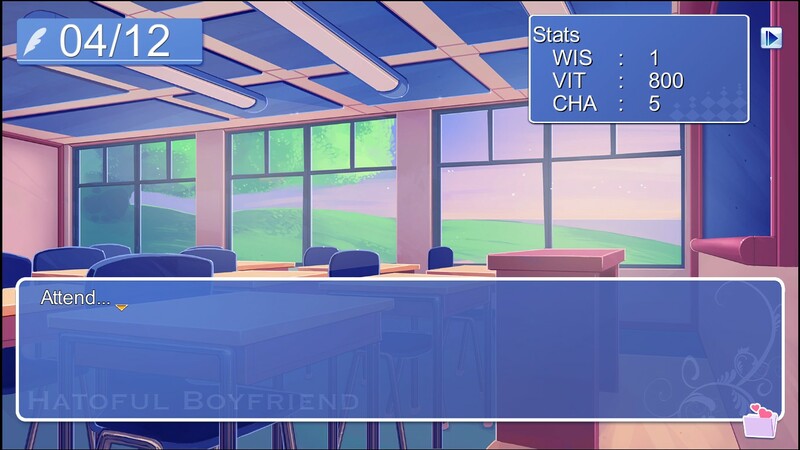 It doesn’t feel right to spoil the ending to the route, so I’ll stop here. …the scenes that followed after, going all the way through to the ending, was sweet and touching and unexpected… colour me impressed. 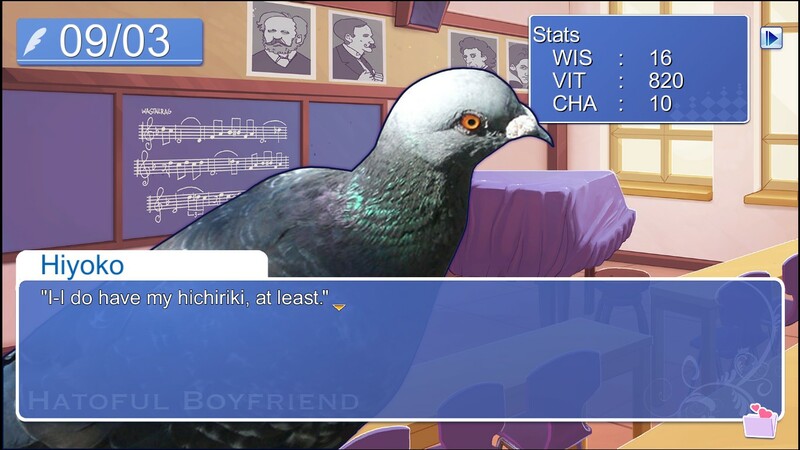 I was kinda expecting the entire route to be comedy from start to finish, so the last part was a pleasant surprise. 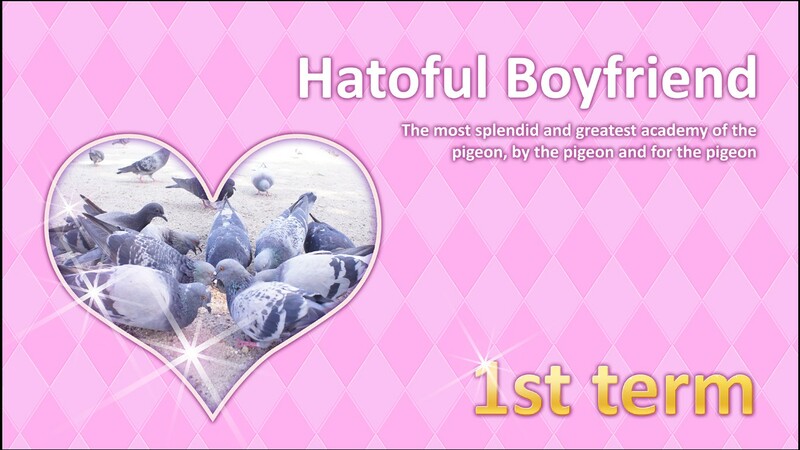 Another thing that was an even bigger surprise to me – I wasn’t expecting to have so much fun playing Hatoful Boyfriend. 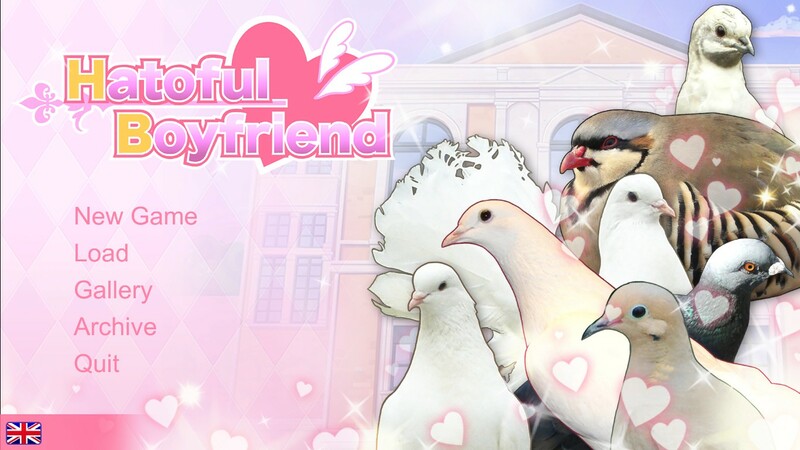 I was expecting something wacky or absurd, and I was expecting to be entertained or amused… and to probably finish the game thinking “well that was amusing, better write a review now”. 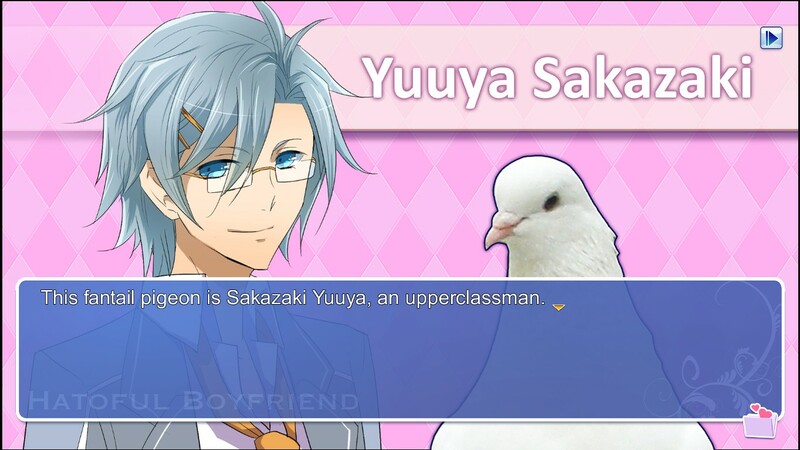 Not “I REALLY NEED TO GEEK OUT ABOUT THIS GAME NOW WHY IS NONE OF MY RL FRIEND PLAYING THIS”. …so here I am geeking out about this game to the internet. Apart from my colleague the rest of my RL friends refused to play this (╥﹏╥) (which reminds me I need to harass him to continue playing). And if I remember correctly (from what I read on the internet a few years ago…) this route was only the beginning – every other route will only get better. 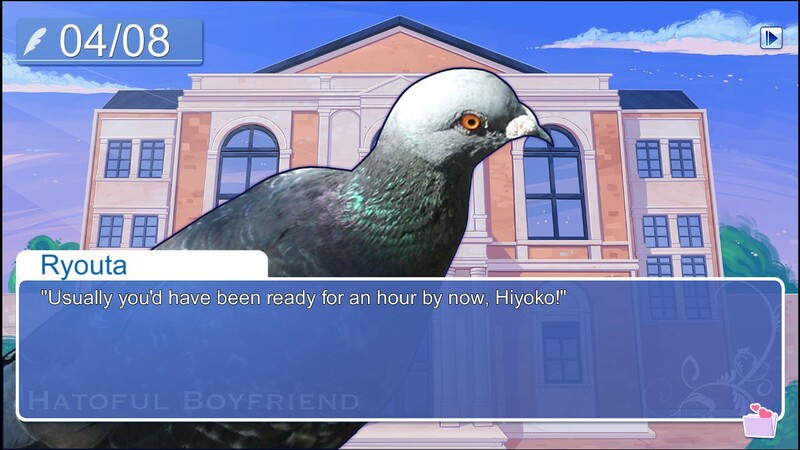 I’m really looking forward to it, but I don’t think I’ll post any more play diary – after all, this game is something people should experience for themselves.